web designer, you’ve come to the right place. At LONGevity Design, our motto is “timeless design, timely production.” We combine the sensitivity of a graphic designer and the technical expertise of a team that’s been developing web sites for 20 years. Whether you are a business looking for an effective web site, a marketing director looking to turn your online dreams into reality, or a print designer looking for someone to produce a web design you’ve created for your own client, LONGevity Design has a solution for you. 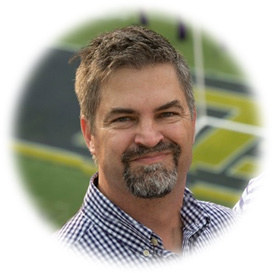 Scott is a 47-year old, 20-year veteran in the web design industry with a degree in Graphic Design (LSU, 1992). He’s also a devoted family man (wife of 21 years and three beautiful daughters), an avid fisherman and a relentless gardener. And did I mention he’s the publisher of DandyDon.com, a blog dedicated to LSU sports that has dished out a daily dose of Tiger news since 1996? Scott is a 47-year old, 20-year veteran in the web design industry with a degree in Graphic Design (LSU, 1992). He’s also a devoted family man (wife of 20 years and three beautiful daughters), an avid fisherman and a relentless gardener. And did I mention he’s the publisher of DandyDon.com, a blog dedicated to LSU sports that has dished out a daily dose of Tiger news since 1996?